A comprehensive eye examination will determine your visual needs and provide the clearest, most comfortable vision correction. The health of your eyes will be evaluated including testing for glaucoma, cataracts, retinal and macular disease. Optomap Retinal Imaging is as simple as a photograph without leaving your eyes blurred. Pupil dilation may be indicated. When necessary, medication is prescribed for treatment of eye disease. Dr. Robert Maiolo has been in practice for over 40 years. He is a licensed Doctor of Optometry and is certified in Diagnostic, Therapeutic and Advanced Therapeutic Practice. He has been a National Board Examiner, staff member of Kaiser Permanente Hospitals in San Francisco, Clinical Director of TLC Laser Eye Center and past Board Member of ODG, now ABB, the largest contact lens distribution company in the nation. His specialties include Custom Fitting for Astigmatism, Diseased and Post Surgical Complications. Dr. Maiolo has lectured on Lasik, Dry eye and Irregular Corneas. ﻿Dr. 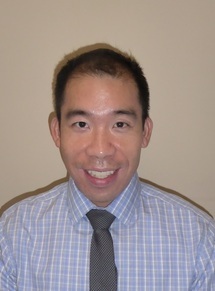 Jesse Chin joined Stamford Vision Care after practicing Optometry in New York City for 10 years. During this time he was an associate Optometrist in a multi location private group practice where he provided comprehensive primary eye care with post surgical co-management and contact lens research for clinical trials. He also had the opportunity to serve as a corporate Optometrist for the largest optical retailer. In addition, Dr. Chin provided eye care services for a large multi specialty medical group practice located throughout New York City. Dr. Chin received his Bachelor of Science in Psychobiology from Binghamton University, State University of New York. He then earned a Bachelor of Science in Vision Science and his Doctor of Optometry from The Pennsylvania College of Optometry. During Dr. Chin's training, he completed clinical internships in specialty contact lenses, Pediatrics, Low Vision & Rehabilitation, Ocular Disease and post surgical management at The VA Medical Center in Providence, Visual Health & Surgical Centers in Florida and The Eye Institute in Philadelphia. Dr. Chin completed a residency in Ocular Disease & Primary Eye Care at the New York Harbor Health Care System, Department of Veterans Affairs at Brooklyn & St. Albans, New York. Dr. Chin, a New York City native calls Connecticut his home since joining Stamford Vision Care. As a primary eye care provider he is passionate in the many facets of eye care, including specialty contact lenses, ocular surface disease and Glaucoma. In addition, he enjoys pre and post surgical Cataract and Refractive surgery co-management. Dr. Chin strives to ensure that all his patient's look, feel and see their best by utilizing advanced technology.